Much more than just another connector company, Samtec puts people first with a commitment to exceptional service, quality products, and convenient tools. We believe that people matter, whether they are our external or internal customers. This belief is deeply ingrained throughout our organization and means we're all willing to go the extra step to build remarkable products and services that take the industry further faster. Founded in 1976, we are a privately held, $613 million global manufacturer of a broad line of electronic interconnect solution blocks, including IC-to-Board/Ultra Micro, High Speed Board-to-Board, High Speed Cables, Future-Proof/Active Optics, Flexible Stacking, and Micro/Rugged components and cables. To meet the interconnect challenges of tomorrow and beyond, Samtec has developed unique Technology Centers to help optimize the entire signal transmission path… from the IC to the panel and beyond, and all points in between. 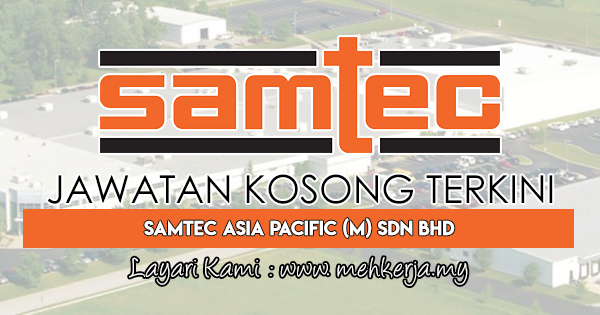 0 Response to "Jawatan Kosong Terkini di Samtec Asia Pacific (M) Sdn Bhd - 14 April 2018"